For combining with other magnets, e.g., with rod magnets (see photos). This structure rotated with a single push for 25 minutes! The explanation for this is the low amount of friction and the minimal amount of aerodynamic resistance. The low friction stems from the two steel spheres (on top) having contact over a very small surface area only and also because the structure is so heavy, that it is nearly ready to fall. 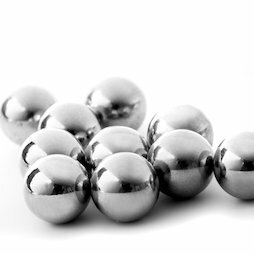 By the way, the two steel spheres are not magnets, but are magnetised through the rod magnets.